DiMarzio® Basic Microphone Cables with XLR ends connect mics to P.A. 's or any other balanced-line application. They deliver a natural sound with great dynamic range. Custom designed low-capacitance copper cable ensures low stage noise and maintains uniform capacitance throughout its length to guarantee consistent sound and improve high frequency response. Durable braided shielding lasts longer and produces much less cable noise. 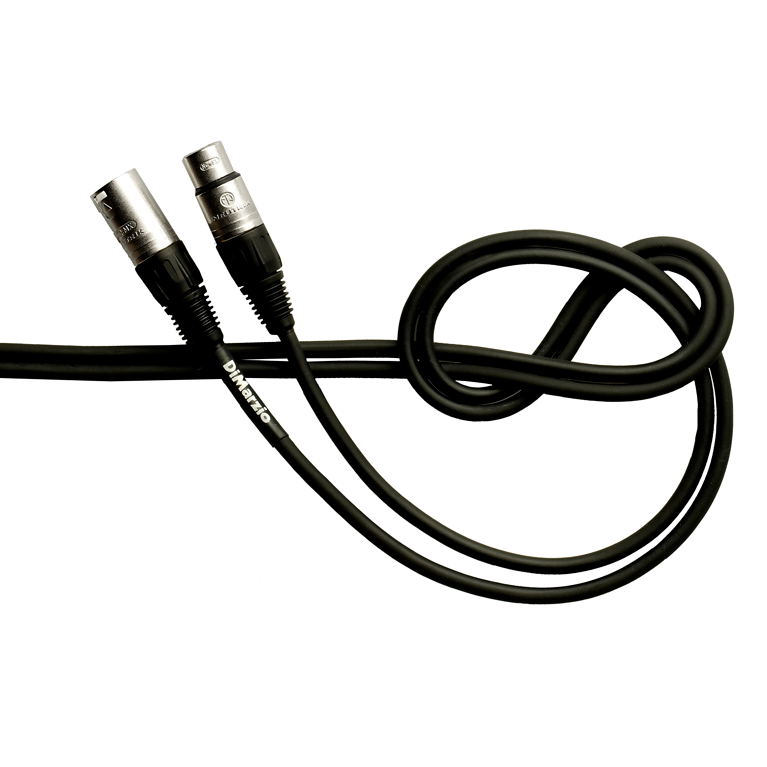 The DiMarzio® Basic Microphone Cable is durable and is designed to lay flat with minimum memory without the nylon overbraid jacket.